We all know that technology is moving at a fastest pace and availing us a world of opportunities in every aspect of life. Among all the good things that technology has offered us, mobile devices such as iPhones hold a significant place. So, if ever your iPhone gets locked due to multiple wrong attempts by kids or you forget the passcode, have you any idea how to unlock iPhone 7 without the passcode ? Well, no matter there are plethora of options to help you in unlocking your iPhone 7 and let you access the device, but the most trusted ones need to be picked up by you. It ensures that your device is under no threat to lose your vital data or get corrupted in any way. But, how will you figure out the right solution? Well, if you are worried about that, then we have the answer for you. In this article, we are going to explain you, how to unlock iPhone 7 without passcode in various methods. Stay tuned for more! Is it possible to unlock iPhone 7 without Passcode? Well! It is possible to unlock iPhone 7 without your passcode and we have given you the following examples in that regard. These methods are fruitful, when you have lost or forgot the passcode and blocked out of your iPhone 7. Tenorshare 4uKey is a viable option while you think about unlocking your iPhone 7 without any passcode. With this mighty solution, you can bypass the iPhone 7 passcode without much hassle with this excellent tool. Whether your iPhone screen is broken, you've forgotten the password, or got locked out of it due to wrong password entries; 4uKey is effective enough to fix that. This software is capable of removing 6 or 4 digit passcode, Touch ID, or Face ID from your iPhone. It supports the latest iOS version and immediately unlocks your iPhone screen passcode. Factory resetting your iPhone 7 is also possible with this tool, without using the passcode. Step 1: Get Tenorshare 4uKey installed on your computer from the official website and run it post installation. Connect your iPhone using a lightning cable with the computer and allow 4uKey to detect your iPhone 7. Click the 'Start' button over the 4uKey interface. Step 2: Now, you need to hit 'Download'. It will download the newest iOS firmware for your iPhone 7 needed for your device. Step 3: For unlocking your iPhone 7, you need to press 'Start Unlock'. Wait a while to let the process get complete. Step 4: Now that, everything is complete you can reset the password for your iPhone 7 just like a new iPhone. Face ID, Touch ID and Passcode settings need to be re-configured. You can restore the iPhone using iCloud or iTunes backup. Another way to unlock iPhone 7 without a passcode is using iTunes. However, this method can only work when your device has been synced already with iTunes. Also, with this method, along with the passcode, the device data will get erased. So, it is recommended to always backup your device on iCloud or iTunes. Connect your iPhone 7 with a pre-trusted computer, where you have synced the device before. Launch iTunes and wait till it recognizes the iPhone 7. Click on device icon followed by 'Summary' tab. 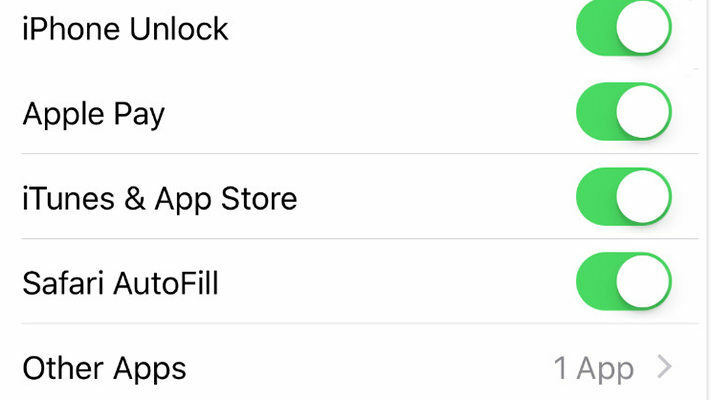 Tap on 'Restore iPhone' button on iTunes. Apart from iTunes, there is another way for unlocking iPhone 7 without using a passcode. Please note that if you wish to use iCloud, the 'Find My iPhone' feature must be turned on. This way you can easily unlock an iPhone, without a passcode. 1. Browse iCloud.com and login to your iCloud account. Select 'Find My iPhone' option afterwards. Subsequently, hit on 'All Devices' and click on your 'iPhone 7' from the list of devices. Tap 'Erase iPhone' and confirm with clicking on 'Erase'. It will remove your iPhone data along with the passcode and your iPhone restarts without any passcode. After going through the article carefully, we don't think that you have now any doubt about how to unlock iPhone 7 without passcode. We made you aware with some simple ways in detailed manner. Also, we introduced the most powerful and amazing way which is Tenorshare 4uKey. If we compare all the methods, 4uKey wins because it is rich in features and provides full safety while working. Also, with it, one can remove any sort of passcode with just a click under any situation. Hope to see your views in the comments section.